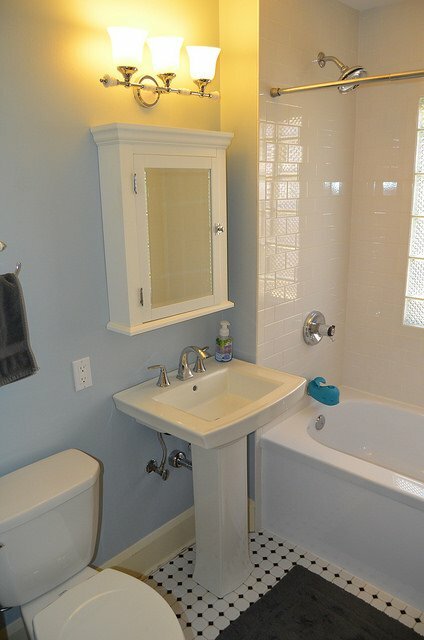 The bathroom, just like the kitchen, contains many things you need at hand every day. Bathrooms require space for towels, bathrobes, makeup, lotions, soaps, and toilet paper – let alone space to hide your bath cleaners and stash away your blow dryer. Fortunately, there is a solution: take to the walls. Here are five stylish ways you can use your walls to create more storage space for small bathrooms. Instead of hanging a mirror over the sink, use a medicine cabinet. The shelves inside provide valuable storage space, perfect for things like makeup, razors, toothpaste, and toothbrushes. Most cabinets have adjustable shelves, which makes it easier to fit different-sized items. 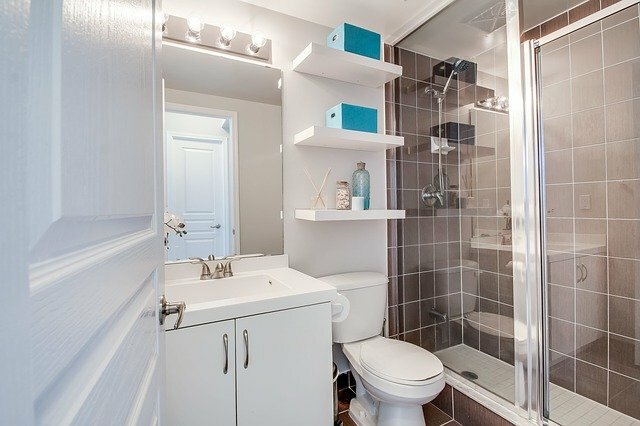 You need to make every inch count when it comes to small bathrooms. 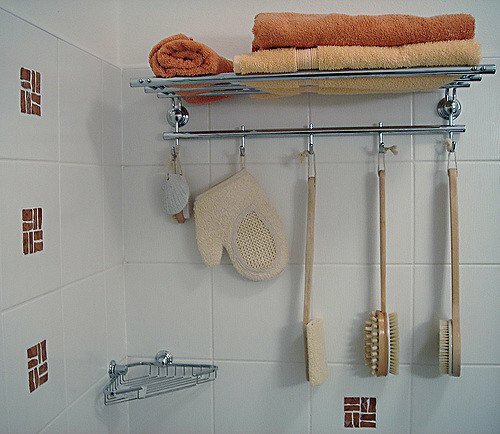 Putting up a train rack on your wall is a great way to store bath towels in small bathrooms. Higher-end models are drafted of drop-forged brass, thickly plated for strength, then finished in something stylish and strong (like polished nickel), and finally sealed with a protective lacquer. 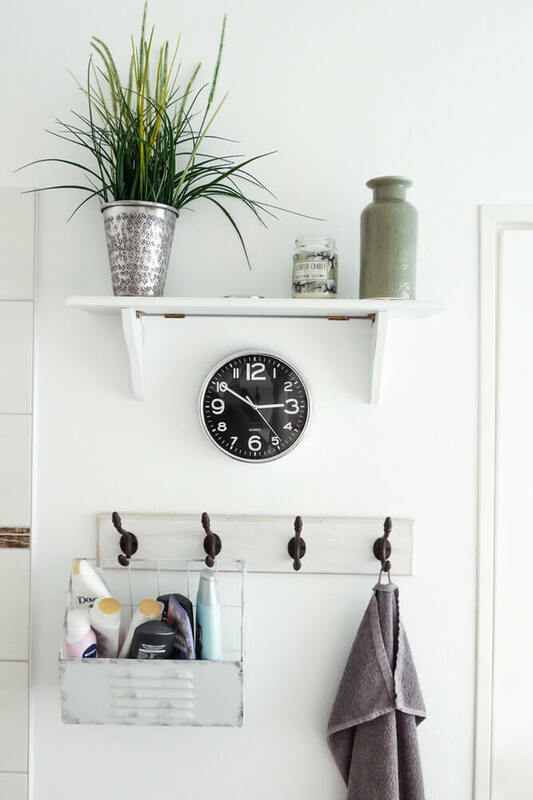 Train racks with hooks hanging from the bottom of the shelf provide another great way to use your wall by providing the perfect place to hang pajamas and bathrobes. No, we’re not talking about the wall hooks with sticky backings that you slap on the wall when decorating for the holidays. Wall hooks made of brass and finished with a coat that matches your other wall storage pieces provide a place to hang things, as well as contribute to a cohesive, aesthetically pleasing bathroom look. Hang them on the door of your bathroom, making sure that the hooks don’t stick out enough to hit the wall every time you open the door. An over-the-door rack is another alternative, and takes only seconds to install. TIP: Use our Real-Time Remodeling Calculator and Find Out in Minutes How Much Your Bathroom Remodel Will Cost. 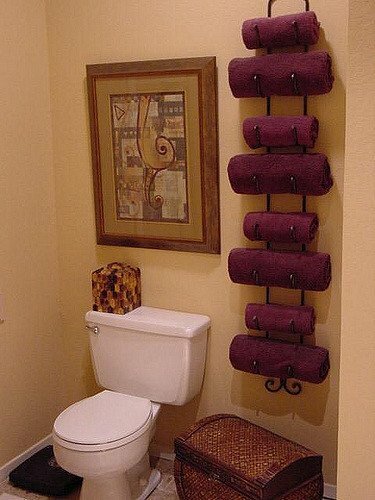 Shelves over the toilet provide an easy way to neatly store items while keeping them close at hand. 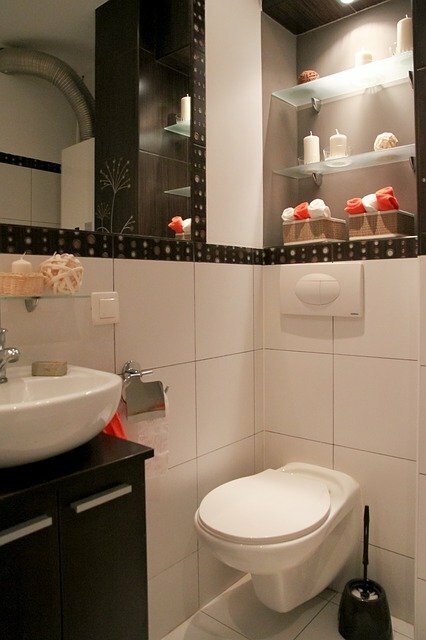 Shelves are also a sturdier, space-saving, and more stylish alternative to standing racks placed over the toilet. Over-the-toilet racks often have poles that encase the toilet, making your bathroom feel smaller. 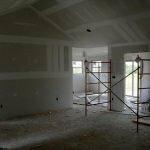 They also tend to be rickety, and it’s difficult to find models that are not made of a “wood construction” or have plastic-covered wire poles. Floating shelves create a sleeker spot for bath essentials, and don’t make your bathroom feel closed-in and smaller than it is. Another space for shelving that is often overlooked can be found between the top of the bathroom door and the ceiling. This spot is perfect for things that you need to have around, but maybe don’t need every day (such as extra toilet paper, or occasionally used toiletries). When it comes to small bathrooms, what your fixtures are made of matters. For example, a tempered glass shelf tricks the eye, making the room feel airier and more open than a shelf made of a heavier material. Wall space is the ideal storage solution for your bathroom. 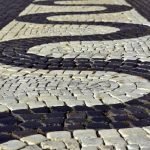 Therefore, it’s unlikely that you’ll also have room for strictly aesthetic objects such as artwork. By picking nice-looking fixtures, you can create a beautiful ambiance in your bathroom while maximizing storage space. Pieces made from stainless steel, die-cast brass, or drop-forged brass are sturdy and pleasing to the eye, and stainless steel fittings and chrome hardware have a luster that allows light to bounce off them and illuminate the bathroom. MORE: Floor Plans from an Architect to Design Perfect Bathroom Layouts. Augustine Reyes Chan is a freelance writer and Columbia University alum based in New York.